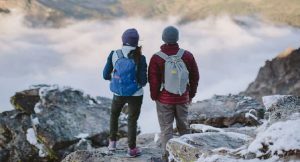 Trekking and hiking in mountains have been prevalent in our adventurous culture dating back to the 19th century when people started summiting mountains. People trek for different reasons, some trek for the thrill of it, some trek to discover new places and cultures, some do it get closer to Himalayan beauties while some, including me, trek to find a sense of peace. Every time I trek, I discover myself a little bit more. Trekking for me is not an adventure but an emotion. The feeling of summiting a mountain, be it a 9,000 feet mountain, is none you would ever feel. 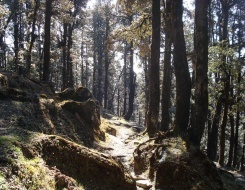 It’s a sense of accomplishment that follows a trek which has kept me addicted to trekking. 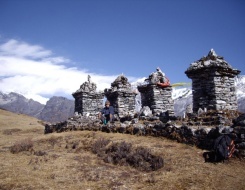 Be it trekking in Garhwal or Sikkim trekking trail, every new mountain brings a new story. 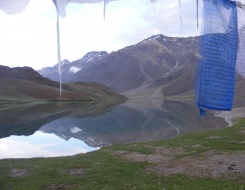 I plan and plan for my next trek and I have a marked section for trekking holidays. But every time I visit I come back a little disappointed as to how such a pure emotion has turned into a social quotient for some. The reason I decided to write this blog is because everyday I open my facebook and I see people taking a dip in Zanskar River, or people driving in the Pangong Lake. Yes, nature has offered these beauties to us but we are not the owner, we are a mere caretaker, until the next generation grows up to take care of these beauties for our next generation. 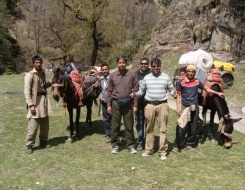 I am saddened to see how trekking from an adventure activity has changed into a leisure sports for some. 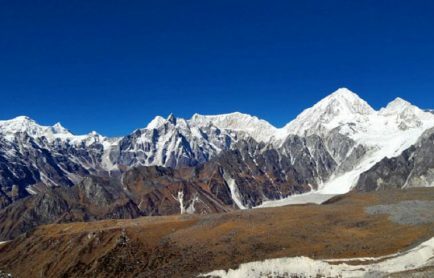 Money to trek isn’t the only criteria for trekking, you need to understand the perils of these mountains, what it takes to climb them and what they take from us in return. 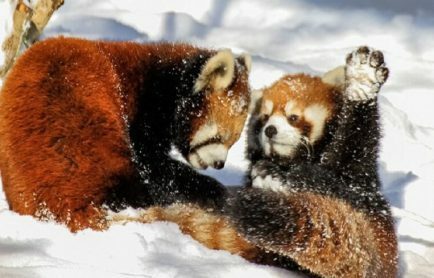 You must have heard about people who lose their fingers to frostbite, in some cases their hands to. 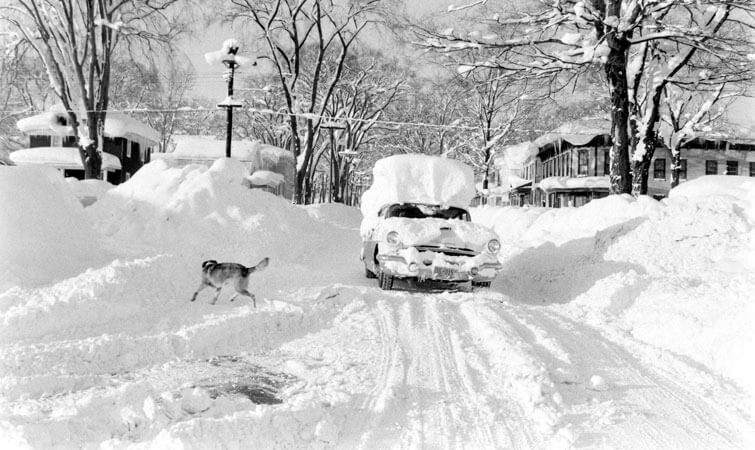 It is not just because the extreme conditions but also because of our unpreparedness. I remember on my first trek to Triund I was totally unprepared for the gruesome journey I had to make to reach to the top. I had no trekking equipments and I had no trekking tips with me and I was told that it was easiest trekking trail in Himalayas. Many like me were on their maiden journey too and that’s when it hit me. Trekking requires certain safety guidelines. I came across a guy who was triple my size who was determined to complete the trek but he couldn’t muster enough strength to move forward from the last tea stall on the trek. The situation worsened over time. He didn’t have the strength to even go back. He had to stay at the shop for the night. Now, I am not saying that overweight people shouldn’t do the trek, they should and they should be encouraged and appreciated for their efforts. But these mountains doesn’t distinguish, it doesn’t offer any relaxation. It expects you to put in efforts and if you can’t then there is nothing anybody can do for you. The reason for listing the dos and don’ts of trekking is because I as a fellow trekker, am trying to reduce the number of casualties that occur in these mountains. 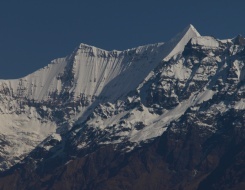 The unpreparedness of some, casualty of one reflects bad on the entire culture of trekking. 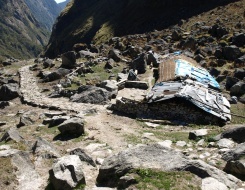 With each passing year the number of people trekking have increased and so have the number of deaths on mountain. 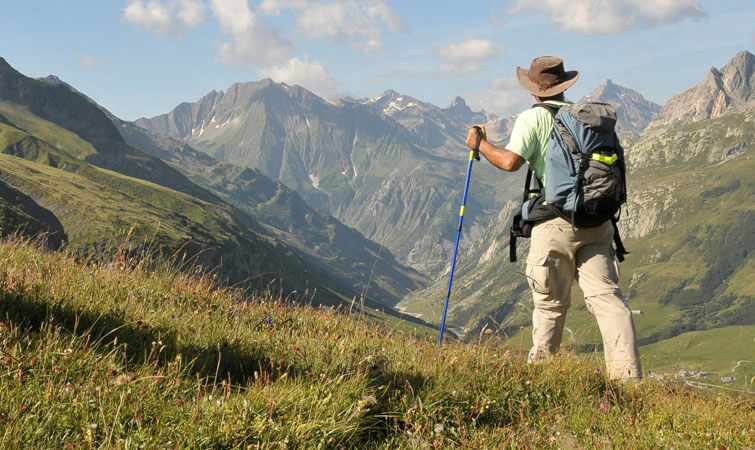 Below is the list of dos and don’ts for trekking. It’s not a law but it is more of how to prepare for Trekking. 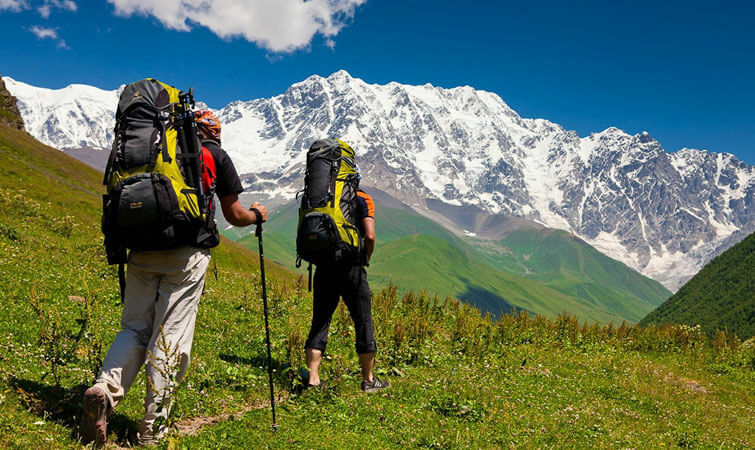 There are certain dangers of trekking but if you know how to stay safe and you have a trekking safety guide with you, trekking would be a passion for you. 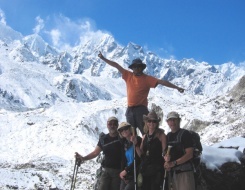 With just some precautions you can make your trekking experience a memory for a lifetime. Why Plan? I am a Carpe Diem Person. Wrong! I can’t stress enough on it, yes an impromptu trip to goa and a short vacation to Ladakh was fun but trekking in Ladakh is altogether a different ball-game. You can’t just read one article and watch one video and plan your trek. Also, you can’t just rely on your friend to plan the trip and you just tag along. 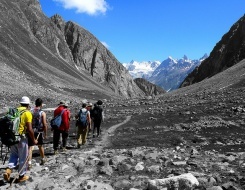 Every year people visit difficult trekking trails in Himalayas with absolutely no idea as to what lies ahead. They say their friend planned the trip. The ignorance turns into the denial as the days progress and it just gets worse from there. 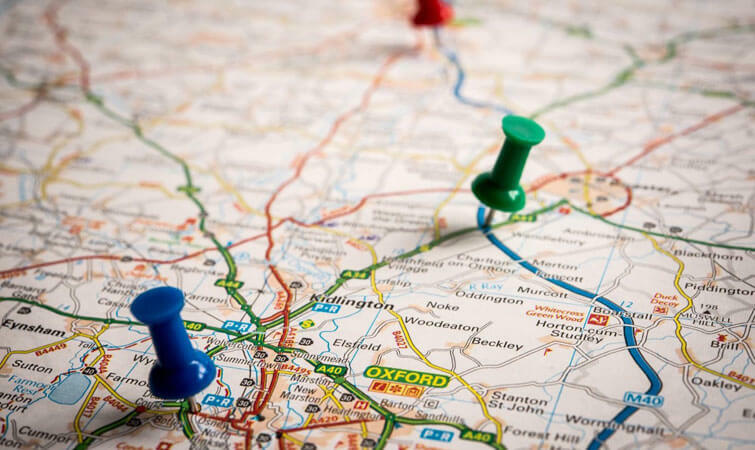 You need to figure out the trekking routes, plan it on a map if possible, seek opinions of people who have already done it unless it’s a rookie trek. Planning will take you a long way ahead. 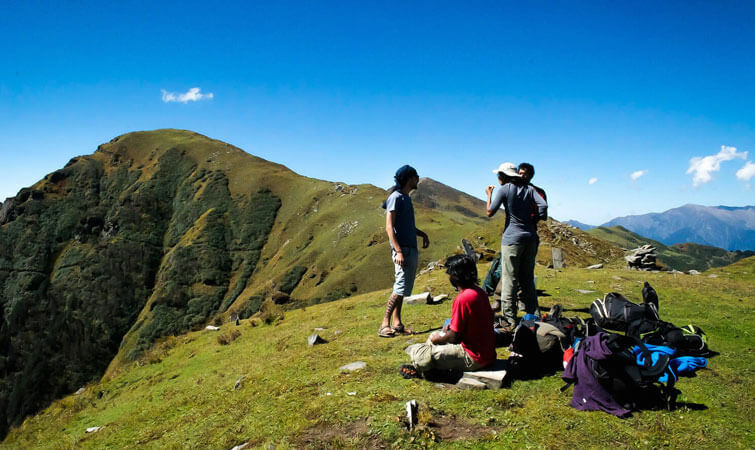 One of the most important things to remember while trekking is planning like a pro. 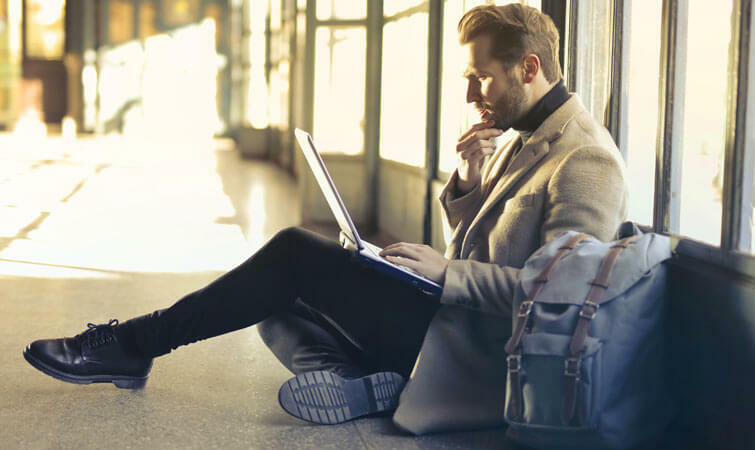 So, make sure you have covered all the bases and have plan B, plan C, and a plan D.
You might get all the information about the trek and you may think you can do it on your own. But reaching the place and navigating on the trail is another demon to conquer. Don’t go alone unless you are 200% sure of reaching safely. There is a common perception that Triund is the easiest of all Himalayan treks but there have been cases of trekkers falling and dying enroute to Triund Top. Last year a 19 year old trekker fell into a 200 feet gorge and died. There have been numerous other cases of such accidents. 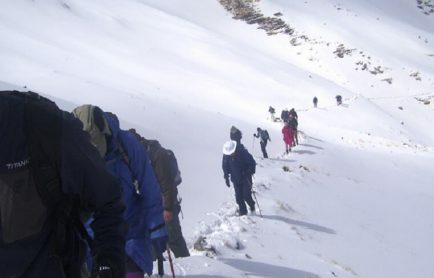 Ask any professional trekker for tips for high altitude trekking and he/she would suggest doing the trek with a guide. 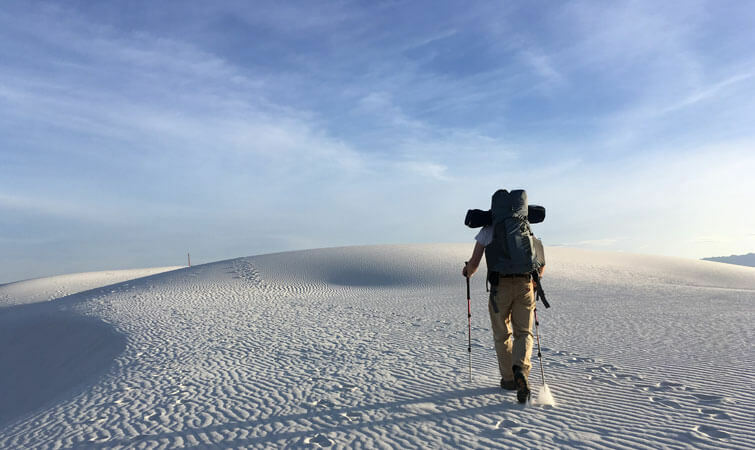 Backpacking are the new trend in the industry with people opting to go solo without guides and this has resulted in increased fatalities in mountains. Cold Weather Doesn’t Cause Dehydration. Again, Wrong! 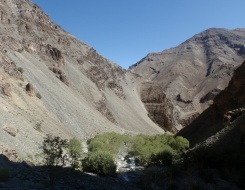 Most of the trekkers don’t realize that they are dehydrated. 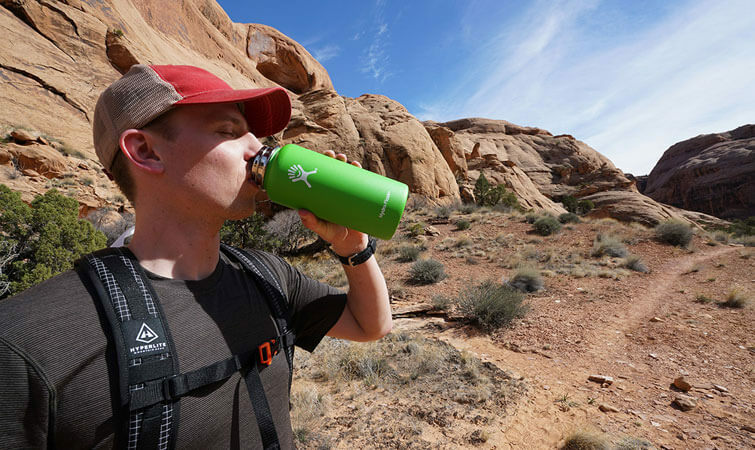 Cold climate and temperatures make you less thirsty and trekkers don’t take enough fluids. Drink at least 4 liters of water in a day. The symptoms of ALS and dehydration are very much similar so you need to rule out the possibility of dehydration. 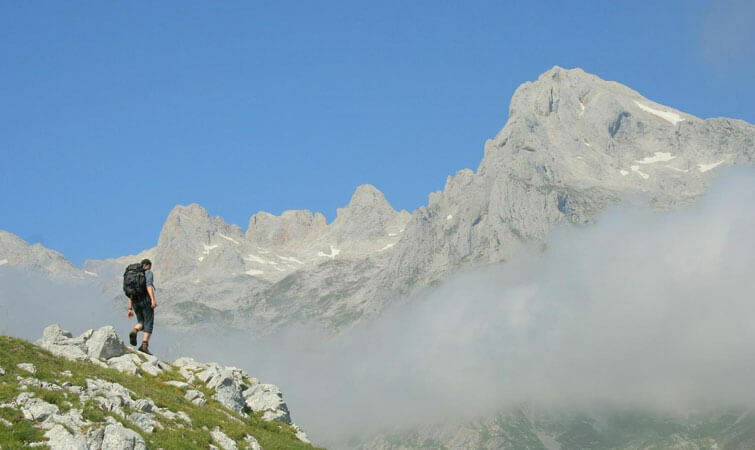 Some of the most important hiking tips for beginners, you are not a superman, humans need a break while trekking. Take breaks but in a planned manner because at the end of the day you need to reach your camp. Rest whenever needed and while you rest to place your legs on a rock or place your backpack on the ground and keep your feet on them. This will make the blood circulation better in your legs. But don’t take long breaks, you need to find your natural rhythm. 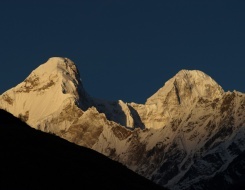 There have been cases of trekkers getting lost in the mountains after sunset. I remember once descending down the mountain in the dusk light and I slipped numerous times. Luckily, I survived but the reason I had to descend in low light is because I took way too many breaks. 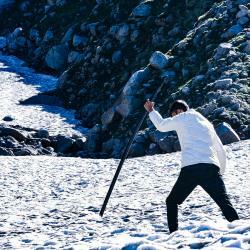 Remember the fancy foreigners carrying trekking poles while doing an easy to moderate trek. They are there for a reason. While ascending a hill you need all the support you can and these trekking poles work as a third leg sharing the body weight and pressure. They even help you in slowing you down while ascending. As the saying goes, the more the merrier, well it applies in this case, 3 or 4 legs are better than two. Also, they are very usual in Monsoon season as they help you get an additional grip, next time you plan a trek make sure you have at least one trekking pole. You can either buy them or rent them. 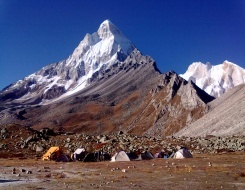 An advanced trek to a major summit or a base camp expedition would take you to an altitude where there would be no cell connectivity. If a tragedy strikes, nearest help would be miles away. In such cases, a satellite phone would come in handy. BSNL in India recently launched satellite phone services at a cheaper price. You can rent a satellite phone from the trekking companies also all the major expeditions are done with a satellite phone. 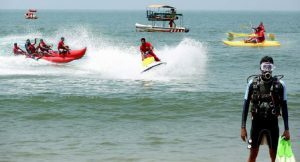 So make sure if you are going with a team they have a satellite phone. You would be surprised to know that my trek guide during the trek to Triund had a satellite phone. 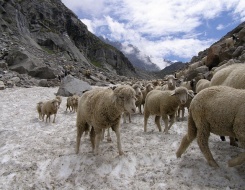 Your traveler friends are planning a Himalayan trek of some mountain pass and they have asked you. In excitement you said but the chances are you might not make it to the mountain pass because of your fitness regime or the lack of it. 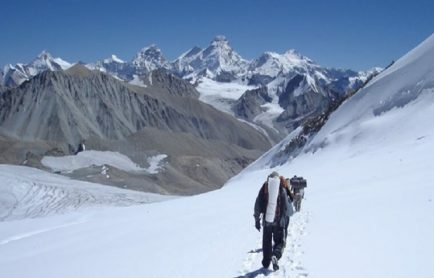 Trekking requires a lot of physical and mental strength and stamina to walk for hours for continuous days. Even starter treks like Triund and Kheerganga require basic physical fitness. Even high B.P can turn fatal on high altitude, so was the case of Premanand who suddenly collapsed at the high altitude. There are various other cases like Sunadan Kirtar who collapsed at the altitude of 14,000. 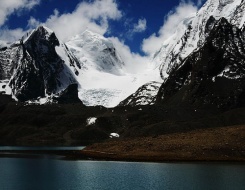 The investigation revealed that he was recovering from a fever and he was not allowed to trek. Another case is of Balachandra Kulkari who suddenly collapsed crossing Bhawa Pass. While, he was taken to the hospital, he was declared dead. The autopsy revealed that his lungs had turned black, meaning that low level of oxygen lead to his death. So, if you are planning to trek make sure you start practicing from today. 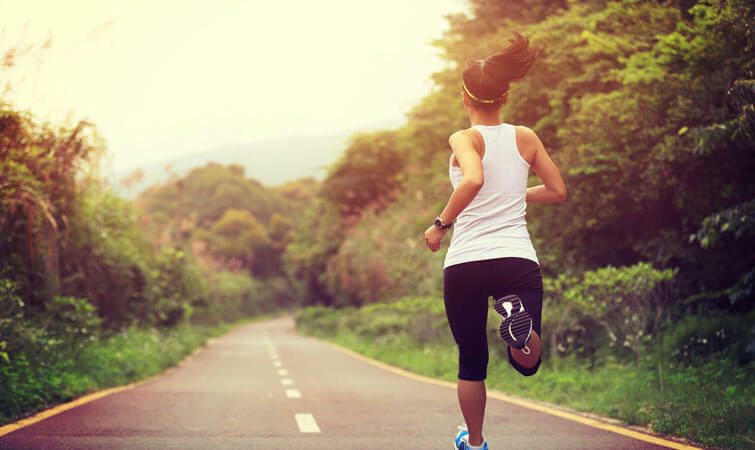 Walk for 4 km, practice climbing stairs, and other core building exercises and stay healthy. Weather is Most Important, Remember the Movie EVEREST? Trekking in the Himalayas is fun Being trapped in a storm at an altitude of 17,000 feet is the worst thing to happen on a trek. Weather can be your best ally or biggest enemy on a trek. Bad weather means you can’t move forward. Cases of trekkers being hit by a storm or a blizzard are quite common. Though the mountains make their own weather, Bad weather can turn fatal pretty soon so it’s better to be aware of any oncoming weather pattern. 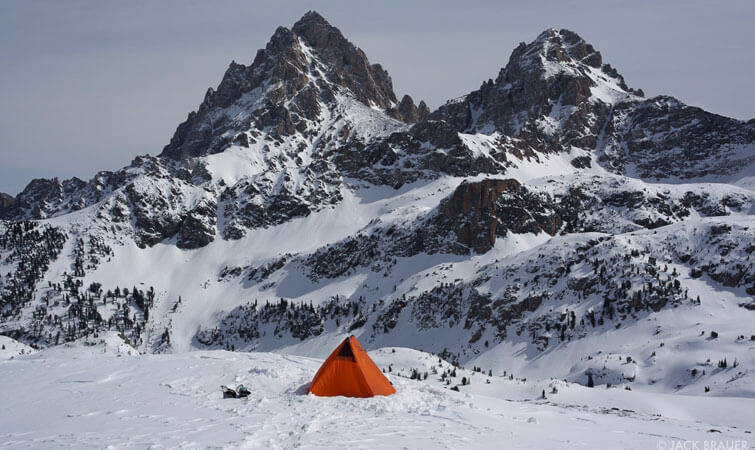 High altitude requires feasible weather conditions so plan your trip accordingly. These days organized trekking companies pay thousands of dollars to get the latest weather update. I suggest you try and gain as much as weather information as you could. 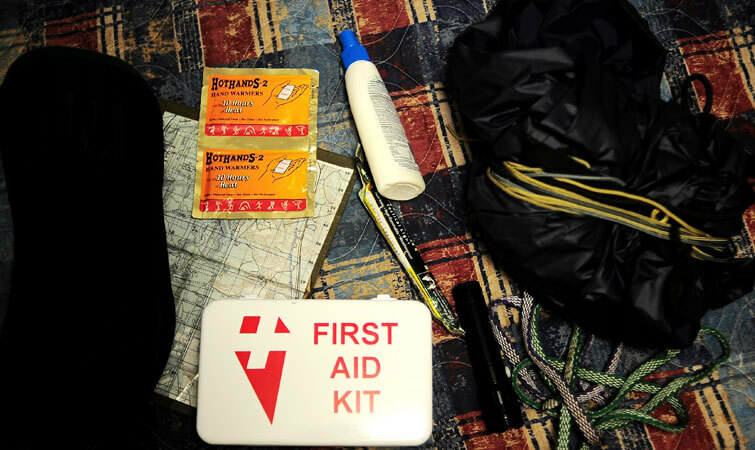 As important as your earphones and your mobile phone, first aid kit is a necessity on treks. The first aid kit should include basic generic medicines for fever, cold, altitude sickness, band-aids, bandages, and cotton. 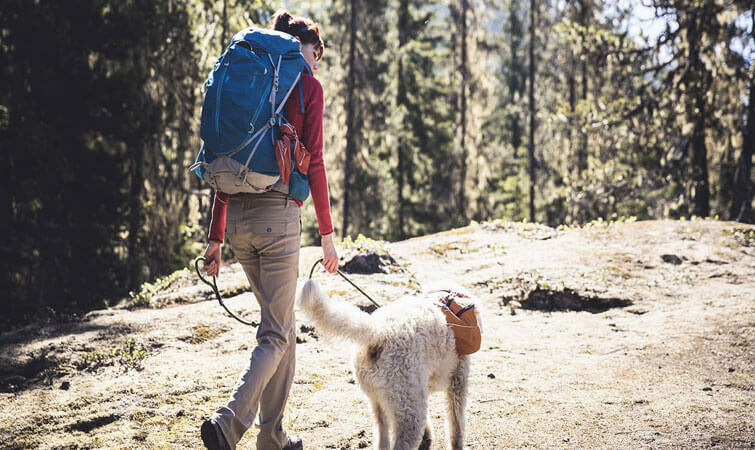 Trekking can sometimes result in minor injury and you should have the resources to prevent it from getting infected. At high altitude, altitude sickness if not treated can turn into High Altitude Pulmonary Edema(HAPE) and High Altitude Cerebral Edema(HACE). One basic rule of trekking is to climb higher sleep lower. 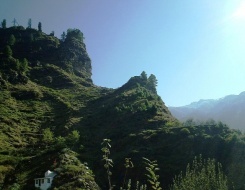 Trekking in Himachal takes you to some high altitude and you gain an altitude of 4,000 feet per day. But chances of you being hit by Altitude sickness increases if you gain such height in one day. It’s best advised to climb to a higher altitude but you should camp a little lower. Let’s say you climbed from 8,000 feet to 12,000 feet to a mountain pass, it’s best for your health if you camp at 10,000 feet. 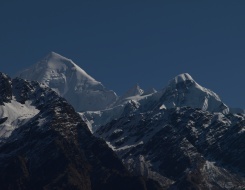 It gives you time to acclimatize to the altitude and have a better experience of walking in the Himalayas. 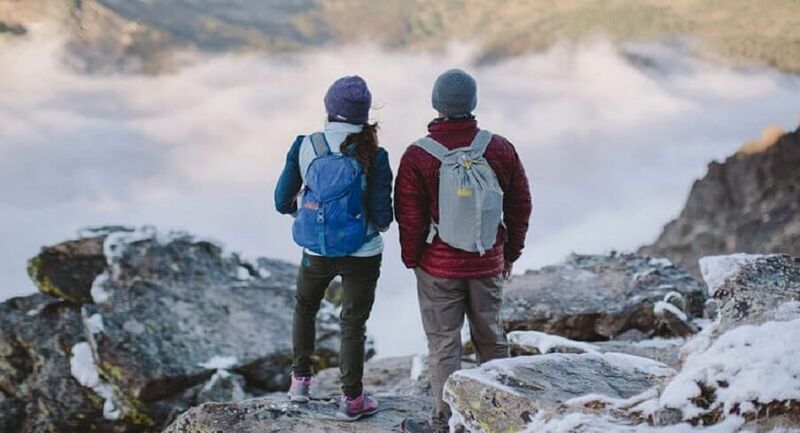 Altitude sickness can strike anyone irrespective of any other factor and safety measures and guidelines dictate that you descend as soon as you feel the symptoms of Altitude sickness. 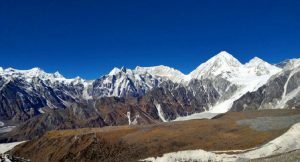 It’s still a relatively new concept for us Indians but having a travel insurance reduces the cost of treatment if anything were to happen to you on the trek. 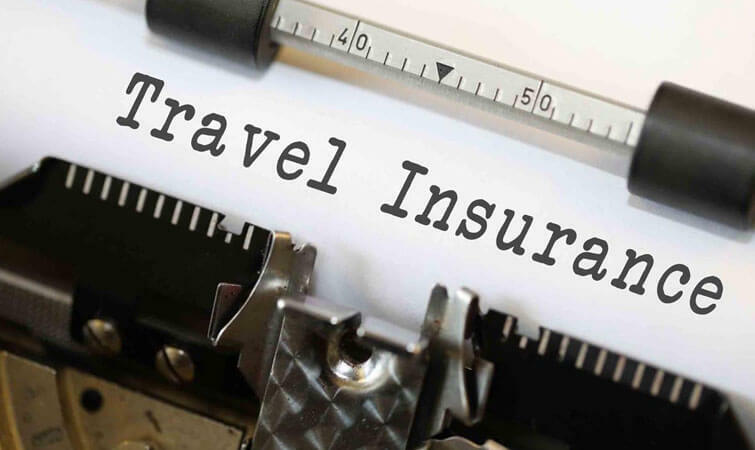 Travel insurance covers physical health deterioration during the trek, it covers the loss of baggage while traveling and also some insurance covers for emergency evacuation. It’s better to have an insurance than risk your life and welfare during a trek. A normal helicopter evacuation costs 8-9 Lakhs and having a travel insurance can help save your life in such critical situation. It’s good to challenge yourself because you are here to enjoy and what better way to enjoy by setting personal goals. 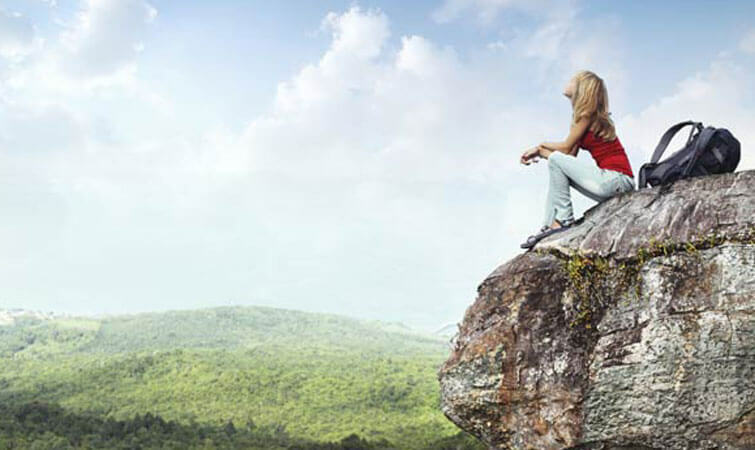 First-time trekkers need to remember, being realistic is the key here. Know your limits and try to set a practical goal. You can’t complete a 5-day trek in 3 days, it’s just not possible. Realize when your body is giving up on you because you would need to be your 100% to complete the trek. Most of the first-timers start their trek enthusiastically. 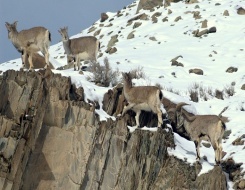 The excitement of trekking is also reflected in their walking speed. Remember the mantra – One breath = one step. Don’t walk fast rather walk slow and take small steps, this will not tire you much plus you would be able to go for long. First hour into my first trek, I had already given up because of tired of walking fast on the perennial terrain. Take small steps, locals trek for long because of this one simple technique. Visit any mountain and you would see trash loitered around. The international media as well as the local people have been raising this concern to protect the environment. 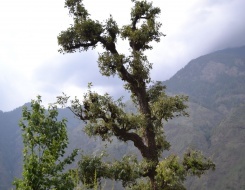 Due to excessive damage to the nature Uttarakhand High Court banned trekking and camping in some parts of Uttarakhand. Remember this rule, leave the place in a better state than you found it. All the packet of chips and cookies you are carrying, make sure to bring the empty wrappers back. 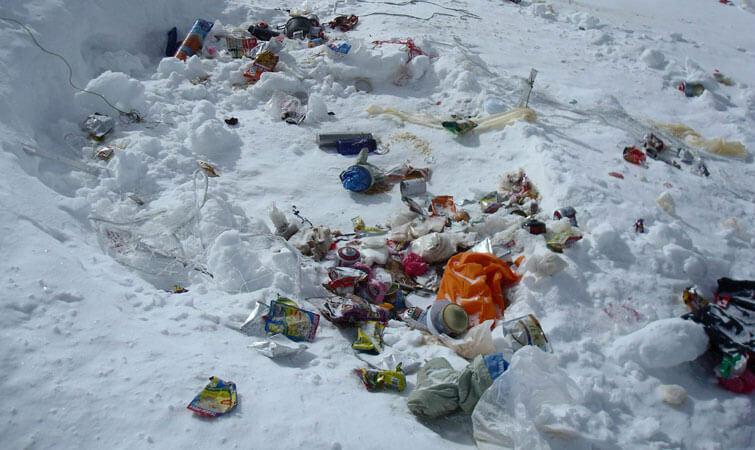 Mountains are not a dustbin. If you want to preserve these treks for the next generation than you would have to contribute too. You own a cool pair of Reebok shoes which cost you 4,000 bucks but chances are they are not the right kind of shoes for your upcoming trek. 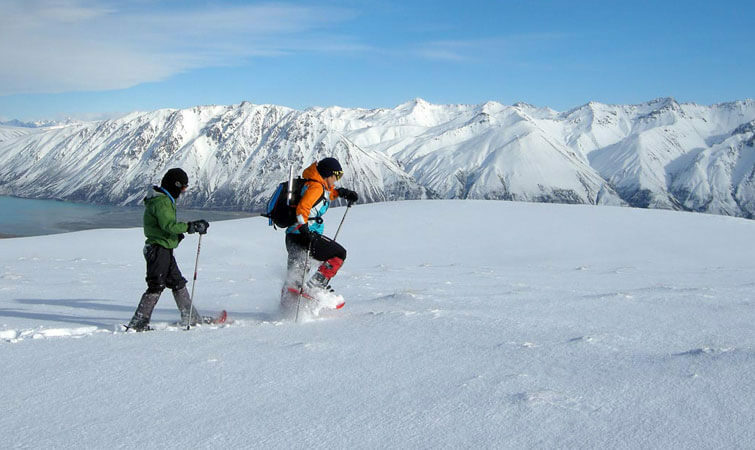 You need trekking shoes and snow grip spikes in the case of winter trails that take you through snow and glaciers. Long treks require proper trekking boots with ankle support and make sure they are waterproof. Remember to buy a size bigger for accommodating the swollen feet as you trek along. Also, large shoes would reduce the chance of blisters. 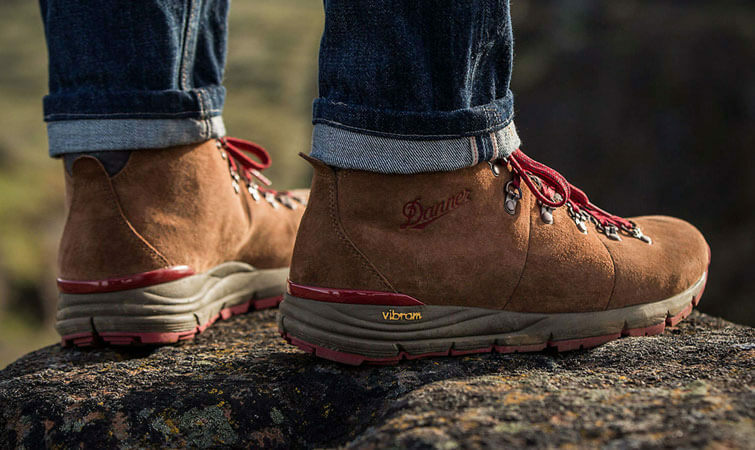 Companies like Decathlon and Wildcraft are known for the quality and comfort of their trekking shoes. Trekking seems easy, doesn’t it with no techniques required? Well, not exactly a technique but you need to know some technical aspect of trekking. Walk slow and try walking on a flat surface as much as you can. The shortcut might be an easy way but it has got some steep rocks, don’t take that route because it’ll tire you more. Also, while coming down a mountain, leave your knee a little bent and flexible. This reduces the overall pressure on your knee joints. 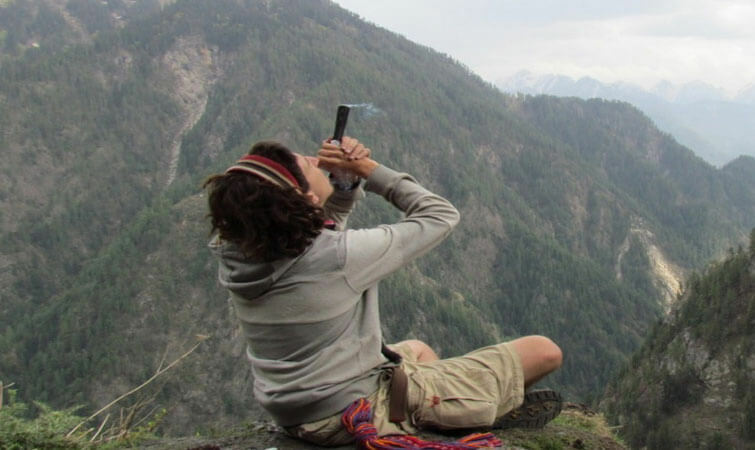 I know you can’t live without your morning cigarette and it’s really cold out here and some rum would help you in keeping yourself warm, but while you are trekking, especially in high altitudes, smoking and drinking isn’t the best thing to do. The air gets lighter as we go up higher so you need to breathe fresh air as much as you can. Also, you are here to enjoy the place, so enjoy the place. Other things can wait. Did You Know Cotton Takes Forever to Dry? Never ever should you wear cotton clothes while trekking. 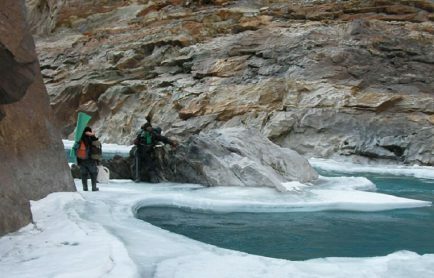 Be it cold trek or a hot one, cotton clothes are never a good option. Instead, go for synthetic clothing or merino wool as they dry up easily and are more breathable. Cotton takes forever to dry and you wouldn’t want that during your trek. This might be your first trek and you are really excited about it, but you don’t know if you are ever going to trek or not. 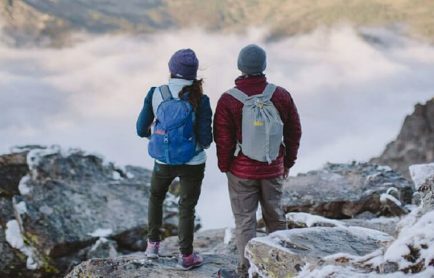 Do you think it’s a good idea to buy the expensive backpack, shoes and trekking poles? Yes, you need trekking equipments but isn’t there some solution to it? You can rent it, most of the trekking company provide these things on rent for around 300 bucks each. If you are not a regular trekker rent don’t buy. Do You Really Need All Those Items? Are you sure you want to carry your Bluetooth speakers, headphones, earphones, and laptop to the trek? Do you really need all of it? Remember the basic math, 1 kg in plains would feel like 5 while climbing a mountain. 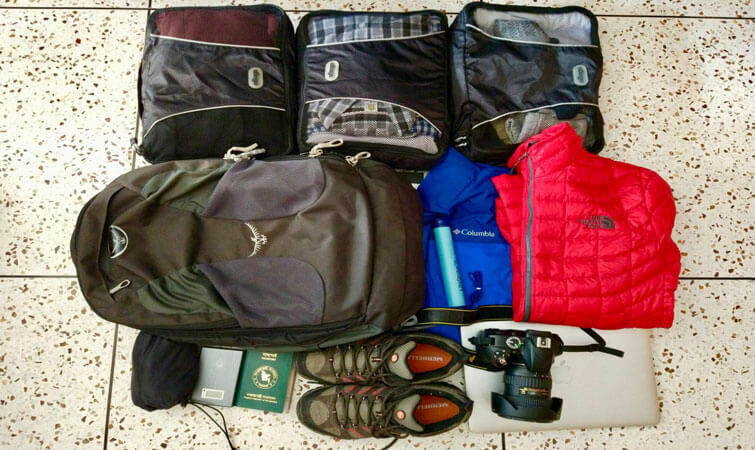 So, pack light, carry only the things you really need. Maybe you can use the extra space to store food and water supplies which would be a bigger luxury than your 5,000 bucks Bluetooth speaker. Watch tutorial videos on Youtube to pack efficiently. Remember every gram counts at those high altitudes. Mother nature can be fierce at times and during those time you realize how fragile and vulnerable you are in front of the sheer intensity of natural forces. Respect the local rules, listen to the warnings the local people give. If they say it’s not safe to trek right now listen to them, they have more expertise about the area. Also, there are certain physical boundations while trekking, respect them and adhere to them. Yes you want to have fun and push your limits but at what cost? There have been cases of avalanches and blizzards hitting trekking teams and there is absolutely nothing we can do in those situations. Remember logic and reasoning are your best friends in an alien land. Hiking Etiquette can help you in getting a cheap place to stay with the locals and also you get a chance to understand their culture better. Be conservative in your approach because in excitement everything seems doable. Understand your body, your limits and understand the nature around you. 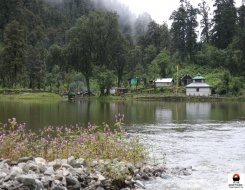 In times like those your experience of trekking and your logical approach would come in handy. 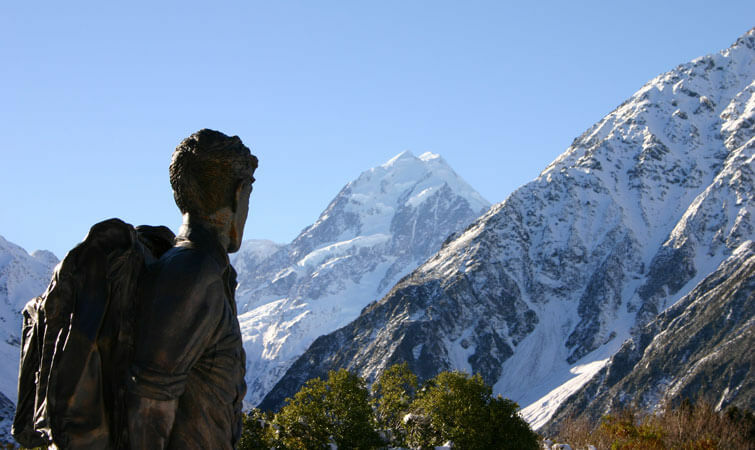 So, next time if you plan a trek remember these trekking trips. Your safety comes first, remember that. With an undying love for exploration, be it a new route or new food, Ashwini has always craved for a good hideout amidst nature. From trekking without earphones to lighting a fire with stones, he knows it all about being an adventurer while being cautious. One day you might find him in the Himalayas, seeking refuge amidst the serenity of mother nature.